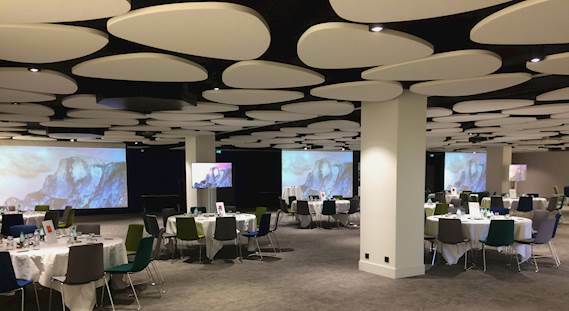 Задача: As part of a wider renovation and modernisation of its meeting and seminar rooms, the Hotel Pullman Bordeaux Lac wanted full integration of video projectors into a centralised AV system. 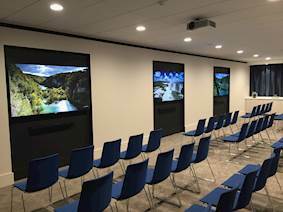 Решение: VERGEZ AVD SOLUTIONS chose to install 11 Optoma ProScene EH515T projectors for their HDBaseT™ connectivity and high resolution. 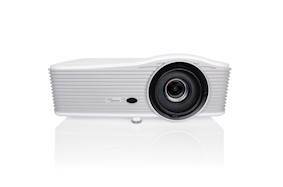 Результаты: The new seminar space at the Pullman Hotel is now completely flexible, offering a rich audio visual experience with the integration of Optoma video projectors into the VERGEZ AVD SOLUTIONS SAVME ™ centralised system.